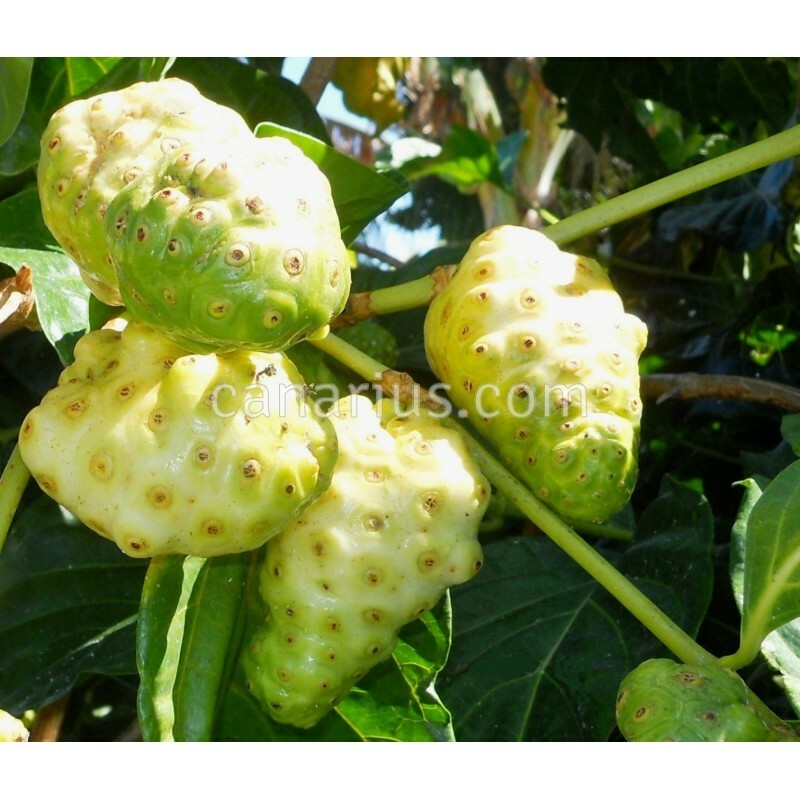 Fast growing tropical shrub of the coffee family with large ornamental leaves and unusual bumpy white fruits called "noni", reputedly good for health. Potted plants can be pruned back in winter and will fruit in late summer. 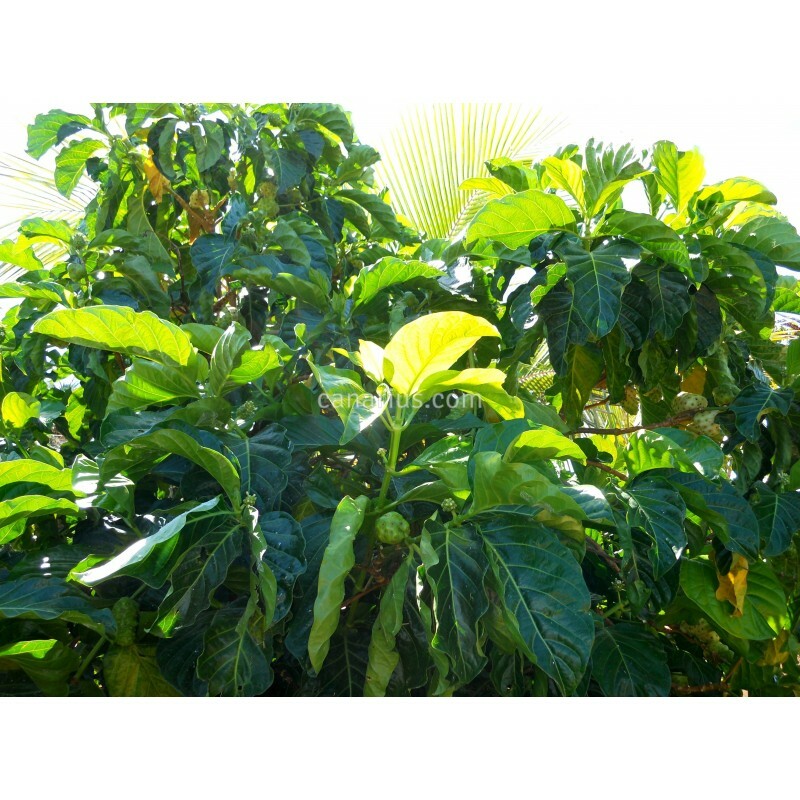 Fast growing tropical shrub of the coffee family with large ornamental leaves and unusual bumpy white fruits called "noni". 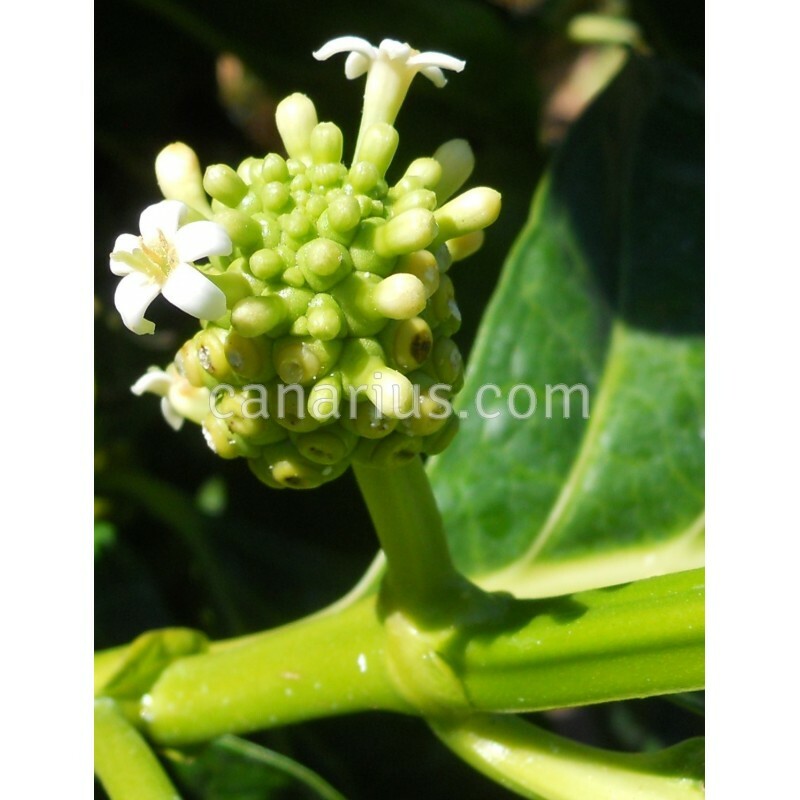 Native to coastal areas in the Tropical Pacific, it is now a widespread shrub on many tropical beaches of the world. 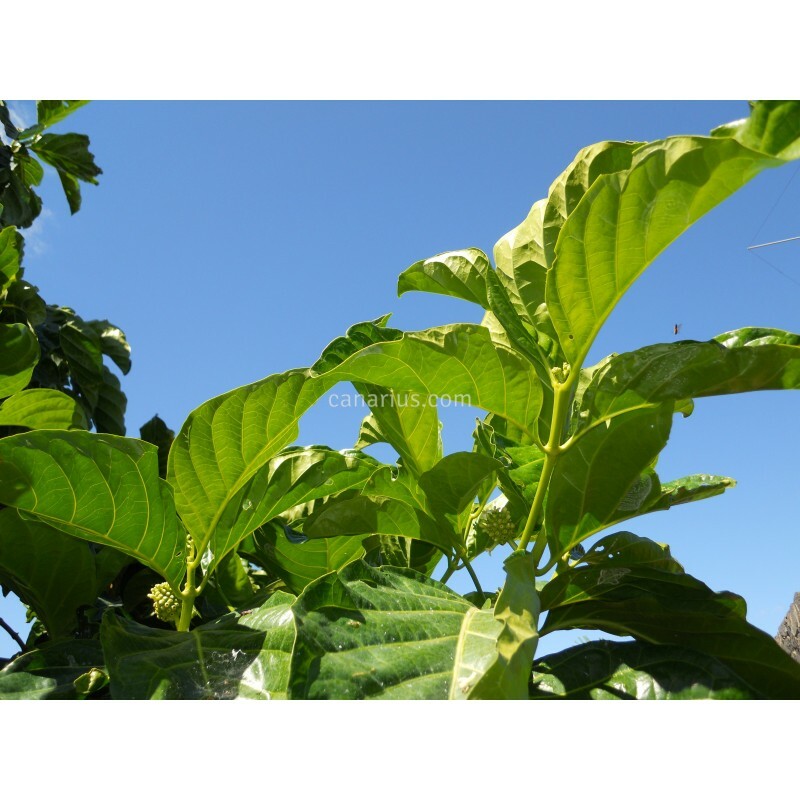 Morinda citrifolia likes hot weather but tolerates cool conditions and can be pruned back to protect in winter. Noni fruits and leaves are reputedly good for health. Search the internet and see how many uses are being tried and how expensive are the products.